Exclusive discounts will be offered to conference attendees, in addition to a $600 voucher* that can be used towards IM Products! *Limit 1 per facility, voucher may be used towards IM-Home, New station purchases, & Upgrades to 8.3. Conference Countdown Only 2 days left to save! 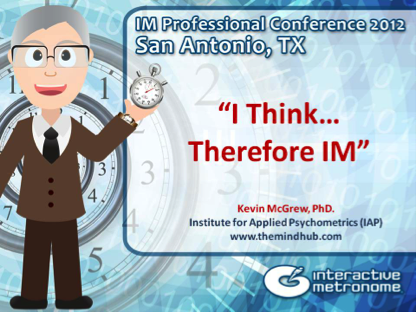 In a couple of weeks I will be the keynote speaker at the annual Interactive Metronome Professional Conference in San Antonio, TX. I will speak for approximately 1.5 hours and have much to share. At this time I thought I would give a small preview (aka, a “tease”) of some of the content I will be presenting. I have recorded a very brief video (6.5 minutes) where I explain some of the key concepts I will be describing (and expanding on) during my presentation. I hope you enjoy. This is a self-made video with an iPhone (on a tripod pointed at my computer as I go thru PowerPoint slides)—so be gentle. IM-HOME readers may have wondered why I have been MIA from the IM-HOME blog. I simply have been swamped this summer. 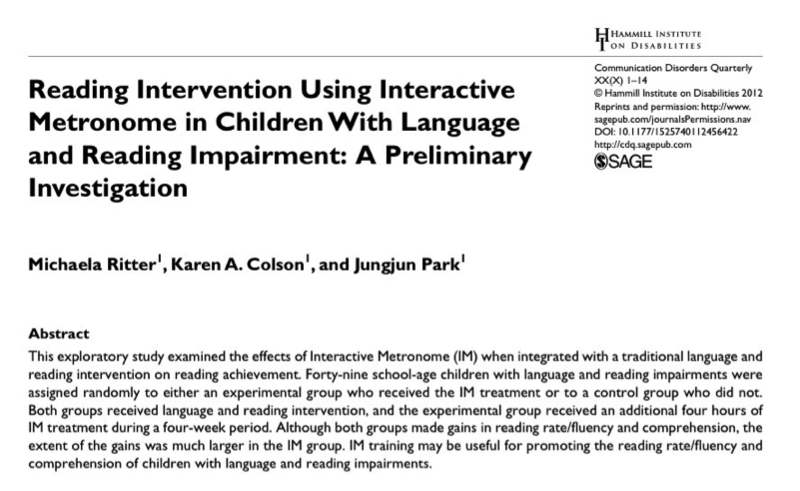 I have been very busy accumulating the latest brain network research—research that has direct relevance to understanding how IM improves focus, controlled attention, working memory, and executive functions. The problem has been that the research literature has been exploding at such a rate that I can barely keep up with reading it—let alone write about it. But…I now have a goal to start blogging (again) on a regular basis. First, I want to thank IM for the advance press regarding my IM Keynote in October. The pressure is on. Yet another interesting video reporting on the use of the rhythmic aspects of music in brain injury recovery...similar to the Gabby Giffords story. 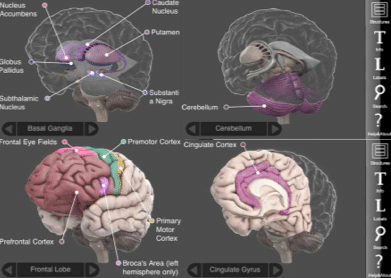 Additional clinical evidence of the importance oftemporal processing in the brain. The law of individual differences is the only proven law in psychology. This law has resulted in decades of research regarding theories and models of intelligence and individual differences in intelligence. Within the past two decades a general consensus has emerged from the psychometric intelligence research that the Cattell-Horn-Carroll (CHC) theory of intelligenceis the most empirically supported taxonomy for understanding the structure of human intelligence. To help readers build their library of IM related information, Dr. Kevin McGrew has organized all of his IM-HOME blog posts up through 6-3-12 in a single on-line (and downloadable) PDF file. "IM-Home blog posts by Dr. Kevin McGrew (Volume 1: 6-3-12)" has been posted under the Neurotechnology section of the Research & Reports menu at the MindHub. Additional blog post archive volumes will be forthcoming. 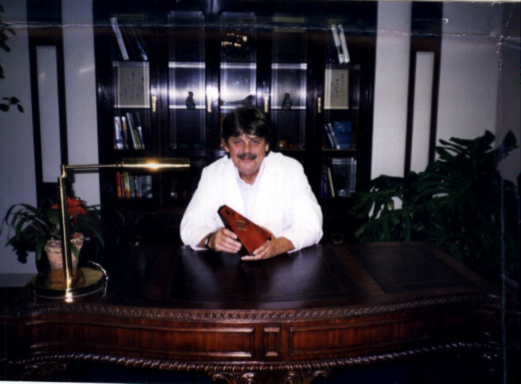 Jim Cassily was the inventor of the patented technology behind Interactive Metronome®. Through a serendipitous set of events I recently learned about the early days of his development of the original “time machine.” The purpose of this post is to share a portion of Jim Cassily’s role in the IM story. I give special thanks to Jim’s wife, Katie, who has graciously supplied me with original documents, pictures, and anecdotes regarding Jim’s passion for sharing the technology he developed to improve the lives of others. I consider it an honor to amplify a portion of Jim’s legacy via efforts to share information regarding the brain-based mechanisms involved in the IM neurotechnology (see Brain Clock blog).